Would turning the planet Mercury into a giant mirror be a good way to heat the outer solar system? If you could deflect most of the light off planet Mercury and to a focused point in the sky, for example, could you heat up a planet like Neptune? You could also start this process at the poles where it is a comfortable temperature for humans. Is this a crazy idea or has there been any thought around it? Enlighten me. Reflecting and focusing light requires a strict control on the geometry of the system. What you need to deflect light hitting Mercury and focus it on Neptune is an adaptive parabolic mirror with adjustable focal length in a working range of millions of kilometers. Mercury being flimsy in comparison to Neptune (see image, courtesy of this site). Mercury is the one at the bottom right. 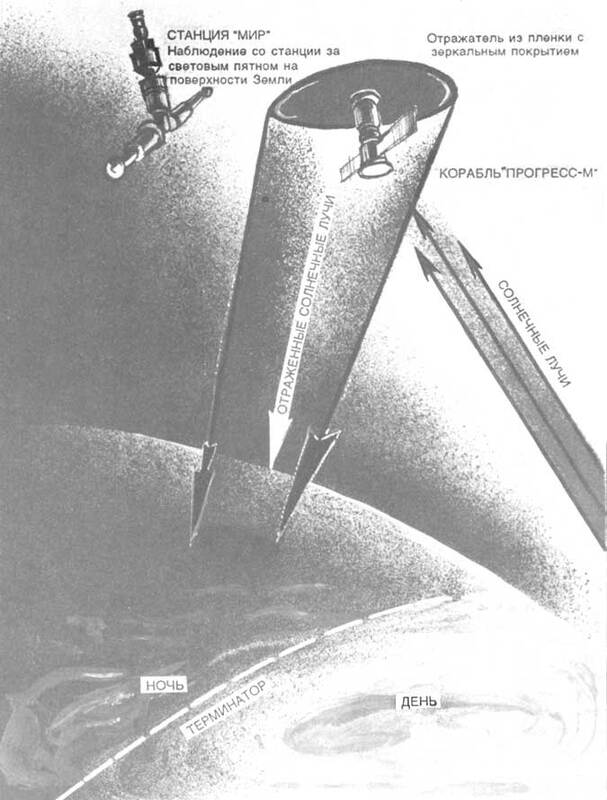 Kind of related to your question - there have been several proposals in the past for the use of giant space mirrors. The idea however, was to cool down the planet by blocking a portion of the incoming sunlight. One was proposed as a way to combat global warming, and the idea was also proposed to start terraforming Venus. There was also a project called Znamya which was a Russian project using a space-based mirror. A prototype was successfully deployed - the idea was to help boost solar production on the ground by increasing the sunlight. If you wanted to warm up a planet or moon in the outer solar system, a better approach might be to park giant mirrors close to the target, to catch and concentrate more of the weak solar energy. That way you don't have to worry about further diffusion and aiming. However, a giant parabolic or slightly curved mirror might be able to focus a beam of sunlight and send it into the outer solar system without dispersing. You'd have to keep re-orientating the mirror to aim it though, as you're trying to hit a moving target. No, because the tidal forces are too high. Because the planet Mercury is so close to the Sun, it experiences enormous tidal forces, about 17 times stronger than the moon's effect on the Earth. Furthermore, the planet's orbit is eccentric, so these tidal forces vary. The forces are so strong that Mercury's spin is 3:2 tidally locked to the Sun (i.e. 3 rotations about the planet's axis for every 2 orbits around the Sun). Venus and Mars lack a magnetic field because their cores cooled billions of years ago. Mercury ought to be this way, too, but it's not. Mercury's tidal forces are also strong enough to keep the planet's iron core molten and flowing, giving the planet a magnetic field. Think about this: the tidal forces are strong enough to melt iron. Whether your mirror is built on top of Mercury, built by the material of Mercury, or just in the same orbit of Mercury, it will experience these tidal forces. In the worst case, the tidal forces will tear apart your mirror. In the best case, they will deform the mirror so it no longer produces a collimated beam. The light from your mirror will be no more concentrated than the light directly from the Sun. As I wrote in this answer, you cannot actually gather light. You cannot gather light from a wide cone, and then send it out into a thin beam. Whatever the angle was that you collected light from, what you emit cannot be a more narrow angle than that, if you are using only optics (i.e. refraction and reflection). This is called Conservation of Étendue and xkcd has a better write-up of that than I can produce. Mercury is at about 0.4 AU from the sun, while Neptune is at 30 AU. 30/0.4 = 75. This means that whatever light you reflect off of Mercury, when it reaches Neptune that light covers an area that is 75 time larger than the Sun, in effect 75 times weaker per unit of surface area than what hits Mercury. Also The Sun has a surface area that is about 80 000 times as large as that of Mercury, so now we are down by a factor of 6 000 000. So no... this just is not worth the effort at all. As everyone else said, there is no scientifically sound way to effectively reflect a sufficient amount of light from Mercury to Saturn. But you're in luck since Russian scientists already found a solution to your problem: Project Znamya (meaning "Banner) they constructed a 65-foot-wide sheet of mylar that could be unfurled from a central mechanism and launched from the Mir space station. They basically sent a giant mirror in orbit around Earth, in your case it would be orbiting around Saturn or its satellites. The plan was to first test a 65-foot mirror (Znamya 2), then a 82-foot version (Znamya 2.5), finalize the test phase with a 230-foot mirror (Znamya 3), and, eventually launch a permanent 656-foot space mirror installation that would be capable of fully turning early night in Russian cities into something close to full-blown day. "The scheme called for a chain of many satellites to be placed in sun-synchronized orbits at an altitude of 1700 kilometers, each one equipped with fold-out parabolic reflectors of paper-thin material," Crary writes. "Once fully extended to 200 meters in diameter, each mirror satellite would have the capacity to illuminate a ten-square-mile area on earth with a brightness nearly 100 times greater than moonlight." And we're talking about Earth. 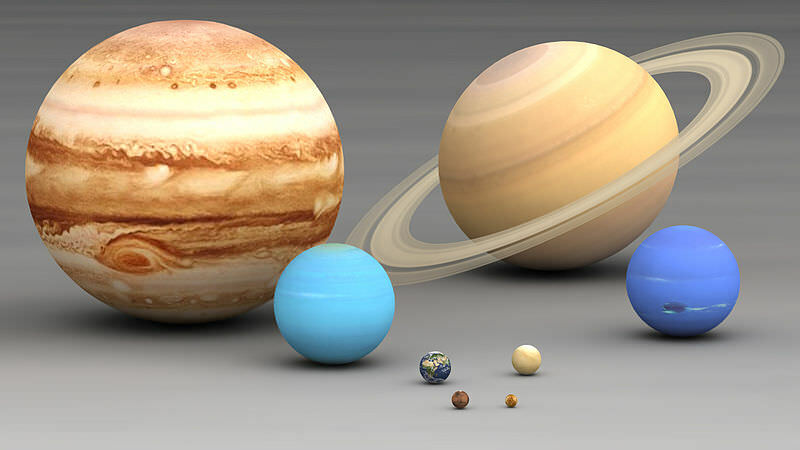 Saturn has diameter 9.5 times bigger than our planet and a surface 83 times bigger. So of course your satellites will need to be way more that what you'd use to lit up Earth and probably bigger as well. Most people already explained why this is not a good idea and why it doesn't work - mainly because: Mercury moves very fast around the sun and has a relatively small area to collect light from. For starters, we would need a place that doesn't change in relation to your planet. Enter: The five Lagrangian points, which are points where the gravity of your planet and the central star is at an equilibrium. L1: Between your planet and the star. Not very useful since any light it collects would also be blocked. L2: Opposite side of L1, behind your planet from the star's point of view. Doesn't see a lot of light, so... meh. L3: Behind the star. You would have to reflect the light through it, so that doesn't work either. L4 and L5 are more interesting. The planet follows the L4 point and is followed by the L5 point in its orbital path. You place giant mirrors there. A nice advantage is that those are the stable lagrangian points, meaning if something drifts away from those points it'll be drawn back towards them. A disadvantage is that they often contain asteroids ("Greeks" in front of the planet on the orbital path, "Trojans" following the planets), not problematic for realistic space structures, but can possibly interact with monumentally scaled ones. Not the answer you're looking for? Browse other questions tagged solar-system or ask your own question. How to implement a Solar System sports body/federation? What will happen after I use a light swich to turn off the Sun? Would the inner planets of our Solar System line up? Is my solar system even remotely plausible? This sword is forged from meteorite iron - but how is that any good?